Consumers are driving cars for longer periods of time than in years past, but they tend to drive certain makes and models longer than others. The automotive website iSeeCars.com conducted a study to identify the vehicles that stay on the road with original owners the longest. It turns out they all come from Japanese manufacturers. Not only that, SUVs, minivans, and hybrids are the vehicles that consumers tend to stick with. The company looked at more than 2.5 million cars from the 1981-2006 model years sold this year. Ten models stood out as being at least 1.9 times more likely than average to be owned by the original purchaser for 10 years or more. Making the durability list are five Toyotas, three Hondas, one Lexus, and one Subaru. Among these original owners, the percentage who held onto their wheels for at least 10 years ranged between 4% and 32.1%. 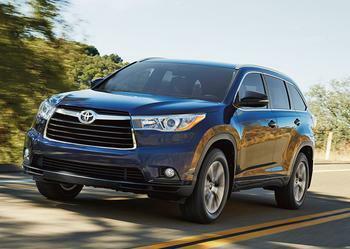 Topping the list is the Toyota Highlander Hybrid, followed closely by the Toyota Prius. The study found 32% of the consumers who purchased these cars drove them at least 10 years. Number three on the list is the Toyota Highlander gasoline model, followed by the Toyota Sienna. Among Highlander owners, 20% kept the cars for a decade, while 28.7% of Sienna drivers did the same. With Toyota owning the first four slots on the list, Honda claims the next two positions with 27.2% of Honda Pilot owners keeping their cars for 10 years and 25.2% of CR-V owners driving their cars for that period of time. The Toyota RAV4, Subaru Forrester, Lexus RX Hybrid, and Honda Oddyssey round out the top 10. “The top 10 cars that people hold onto are all from Japanese automakers, which isn't surprising since they have a reputation for reliability. But the makeup of the cars is unexpected,” said Phong Ly, CEO of iSeeCars.com. Of the vehicles on the top 10 list, nine are either SUVs and minivans. Ly suggests these vehicles are used mostly as family cars and might continue to serve that purpose as families grow. Ly said it is somewhat surprising that so many hybrids are on the list, since the early knock on these vehicles was concern about battery life. “For hybrids, the savings from fuel costs accrue only after several years of ownership, so one reason owners may be keeping these vehicles is to offset the higher cost of a hybrid,” Ly said. Equally surprising is the fact that some of the top selling cars and trucks aren't on the list. Only 20% of Toyota Camry drivers keep their cars for at least 10 years, with only 17% of Honda Accord owners doing the same.